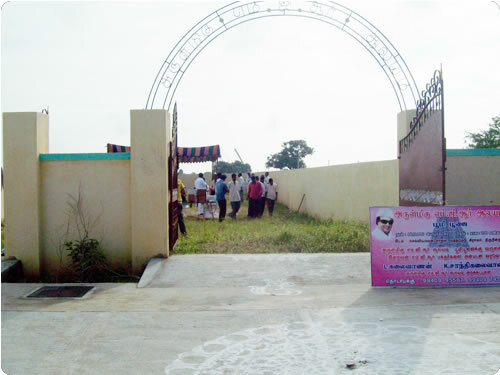 A temple is being constructed for the late actor and Tamil Nadu Chief Minister MG Ramachandran at the Nathamedu Village in Thiruninravur. This temple construction is being done without any political party affiliation. 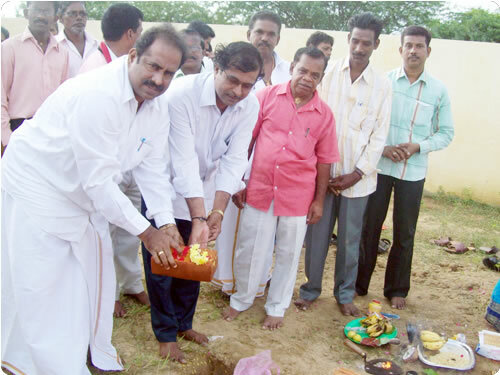 Kavignar Kasi Muthumanickam and ‘Idaya Kani’ S Vijayan inaugurated the proceedings for the Bhoomi Pooja of this temple. Meals were distributed to hundreds of people who thronged the venue to take part in the pooja. 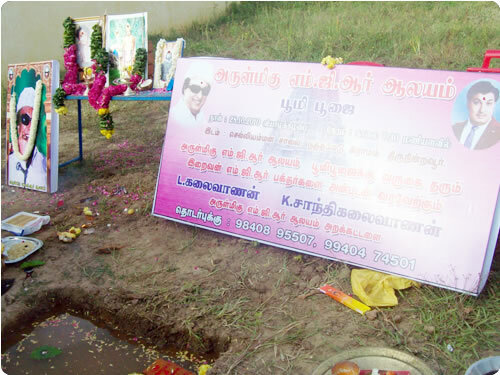 Kalaivaanan and his wife Shanthi, Thiruverkadu Sahadevan, Virugai Mahendran, Kovai Duraisamy, Thiruvannamalai Khaleel Badsha, Kalaivendan and several other MGR fans were present during this occasion.